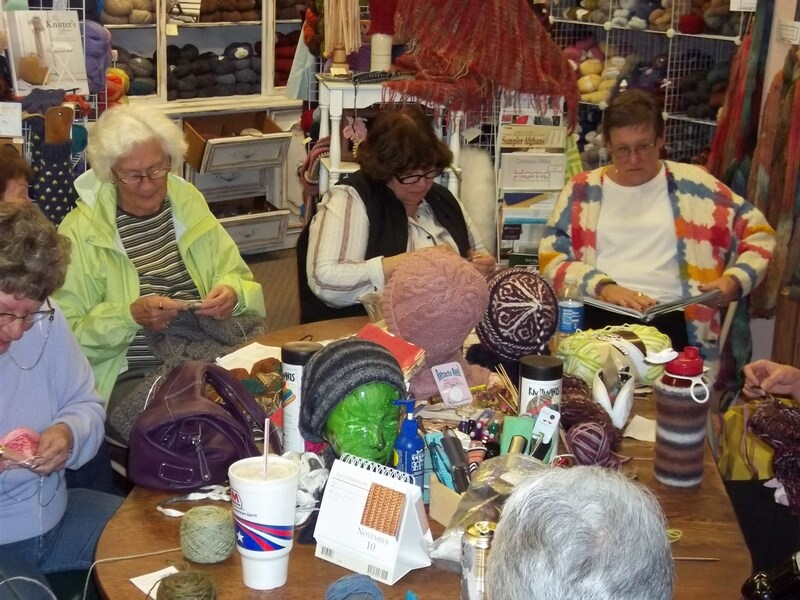 Grab a friend and come join us for Sit & Knit, or Crochet if you’d like, where you can enjoy the craft of knitting in a pleasant atmosphere, where you will be able to exchange thoughts and ideas with other knitters, while working on your own masterpiece. Everyone is always welcome to join in. Wednesday: 6:00 p.m. – 7:45 p.m.
Thursday: 9:30 a.m. – 11:30 p.m.
And just so you know–during store hours our table is available and you are always welcome to stop in and sit and work on your project.